With a mixture of landscapes across this vast and diverse land, ranging from arid desert to lush rainforest, its no surprise that Australia is, simply put, one of the best countries in the world to visit for wildlife encounters. You’ll find a real array of unmissable wildlife in Australia, with your travels throughout this amazing country enabling you to encounter up-close wild animals you thought you’d only see in documentaries. Here are just some of the best ways you can get up close and personal with wild animals in Australia, from swimming with dolphins in Perth to cruises with crocodiles on the Daintree River. Around 90 minutes from Melbourne is Phillip Island, a haven for wildlife, but best-known for its colony of little penguins, the world’s largest. At sunset, head to Summerland Beach for the penguin parade, where you’ll see hundreds of penguins return from the sea after a day’s fishing to their nests on the shore. Make one of your lifetime dreams come true by swimming with dolphins in Australia. 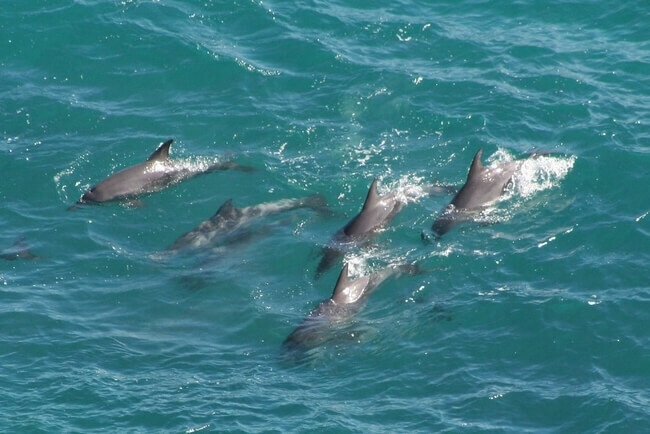 This day trip from Perth swimming with dolphins starts off with a scenic cruise around Shoalwater Bay until the first pod of dolphins is spotted. You’ll then get to take to the water, watching the dolphins swim beneath you; these playful creatures may even decide to follow you! Expertly guided by Rockingham Wild Encounters, this really is one of the best places for swimming with dolphins in Australia. Found just 19km from the shores of Perth, Rottnest Island is an unspoilt sanctuary teeming with wildlife, lined with 63 white sandy beaches. 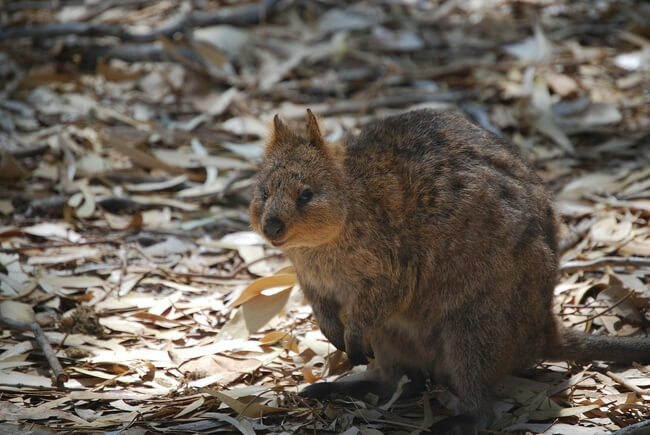 Visiting Rottnest Island is a rare opportunity to meet the quokka, which only lives here on the island and in one small colony on the mainland. These adorable marsupials are not camera-shy and you’ll get a brilliant shot of these friendly Australian animals with ease. Around an hour from the coastal city of Cairns, you’ll find the Daintree River and Rainforest, a lush green paradise home to a real diversity of wildlife. Departing from Daintree Village, the Crocodile Express takes you along a 20km of the river, where you can see crocodiles emerging from the water along the way, as well as a variety of reptiles, rare birds, flying foxes and colourful butterflies. The Great Ocean Road, following over 400 miles of road from Torquay near Melbourne along the Victorian coastline, is one of the world’s greatest drives, with the views alone making it worth the trip, but you can also get up close with cuddly koalas along the way. 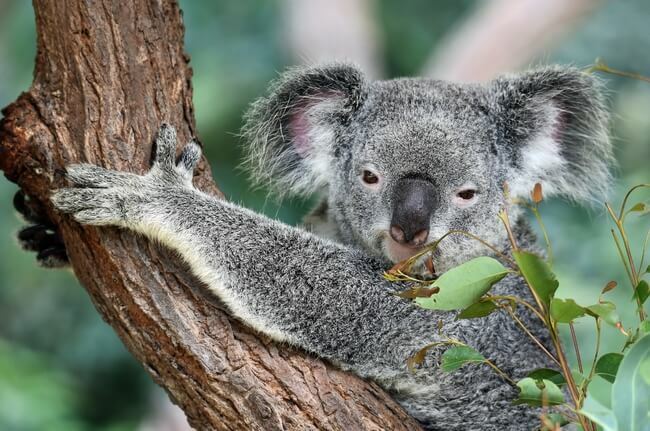 Stop off in the township of Kennett River, where eucalyptus trees line the road and sleepy koalas can be seen hanging out in their natural habitat. You can’t mention Australia without mentioning the Great Barrier Reef, one of the true natural wonders of the world. Operated by Reef Magic Cruises, on a snorkel safari you can swim along the entire outer reef wall amongst the enormous coral formations. Accompanied by a marine biologist, you’ll get to swim among huge schools of colourful fish and feel at one with the ocean. Included with our Very Best of Australia tour is a visit to the incredible Kangaroo Island near Adelaide. 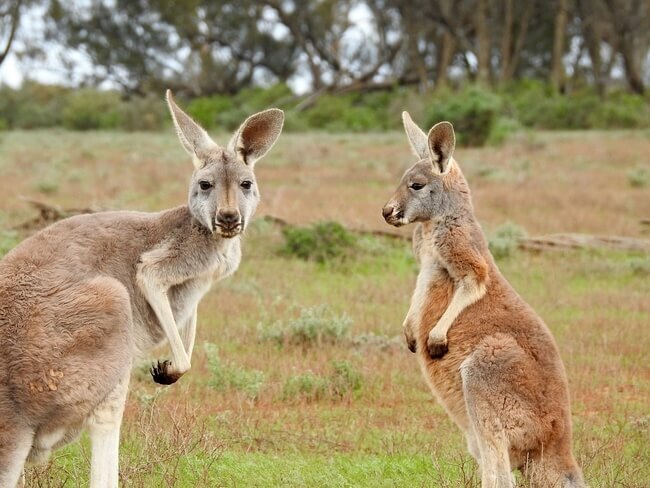 You’ll not only get to wander among kangaroos, as the island’s name suggests, but also wallabies, koalas and echidnas in the island’s Flinders Chase National Park. Lovers of marine wildlife will also jump at the change to walk amongst the Long-Nosed Fur Seals by the Admirals Arch Boardwalk, and the colony of rare Australian sea lions at the Seal Bay Conservation Park. If you’ve dreamed of seeing the animals you’ve seen in David Attenborough documentaries for real, make the dream a reality with a holiday Down Under. Our escorted tours of Australia offer the opportunity to experience several of these once-in-a-lifetime encounters, with the hassle of arranging them all taken care of for you. Images by skeeze and Tammy Lee via Pixabay, jackoscage via Flickr and David Clode via Unsplash.